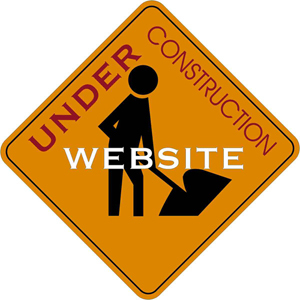 Remember the old days when you would arrive at a website only to see an ugly "Under Construction" image? Sometimes I feel like we need to permanently add this icon to BloodHorse.com. You may not have noticed, but our website has undergone some major changes over the past few months. And, there is a lot more to come. Some changes have been obvious, others more subtle, but hopefully they have all been for the better. 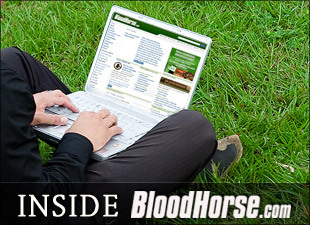 Inside BloodHorse.com is a blog intended to educate our readers on how to use some of the new features, and most importantly, a forum for our readers to express their likes and dislikes. If we make a change to BloodHorse.com that you really love - or hate - we want to hear about it. Article Tags - When reading an article on BloodHorse.com, you've probably noticed an area on the sidebar called "Tags". So, what exactly is a tag? I'll leave it up to the Wikipedia experts to explain in detail, but it's basically a way of grouping similar content together. If you click on a tag that you're interested in, you will be taken to a page (view sample) that shows every article on BloodHorse.com that contains that tag ("keyword" is another term you might be familiar with). It's a quick and easy way to access content on a particular topic that you're interested in. Article Aggregation Pages - We know that a lot of our readers only want to see the news when they come to BloodHorse.com. Time is at a premium these days, and we understand that some of you may want to stop just to see the latest news. In its current format, BloodHorse.com really doesn't lend itself to that sort of browsing behavior. Taking that into consideration, we've created seven new pages that are designed for those individuals who want the news, and nothing but the news. If you like what you see here, there's no need to try and memorize any of these url's. You can simply bookmark these pages or save them as one of your favorites for quick access in the future. Video Player (launching next week) - With our new video player, content syndication is now an option for most of our videos. If you want to embed a video in your blog post, you can simply get the "embed code" and go. There is also an "Email a Friend" option and a "Get Link" option. Future enhancements are planned, so be sure to keep your eye out for those. Auctions Database - The all-new Auctions channel provides a faster, more convenient way to get the valuable information you're looking for. We've also given the channel a completely new look -- if you haven't already done so, please take a look and let us know what you think. And, the Auctions channel now features FREE access to the comprehensive Auctions Database. Equineline Report icon - You may have recently a noticed a tiny little icon next to every stallion name. This denotes an Equineline report; if you click on the icon, you will immediately be taken to the Equineline report page for that particular stallion. In the past, it took three clicks to get from a BloodHorse.com article to an Equineline report. Now, you can get there in just one click. More changes are on the way, so it's probably a good idea to keep your hard hats on for awhile. We hope you like what we've done thus far, but if you have any suggestions on how we can improve things, please let us know. We would love to hear from you! Chris Dawahare is the Digital Media Operations Manager for Blood-Horse Publications.